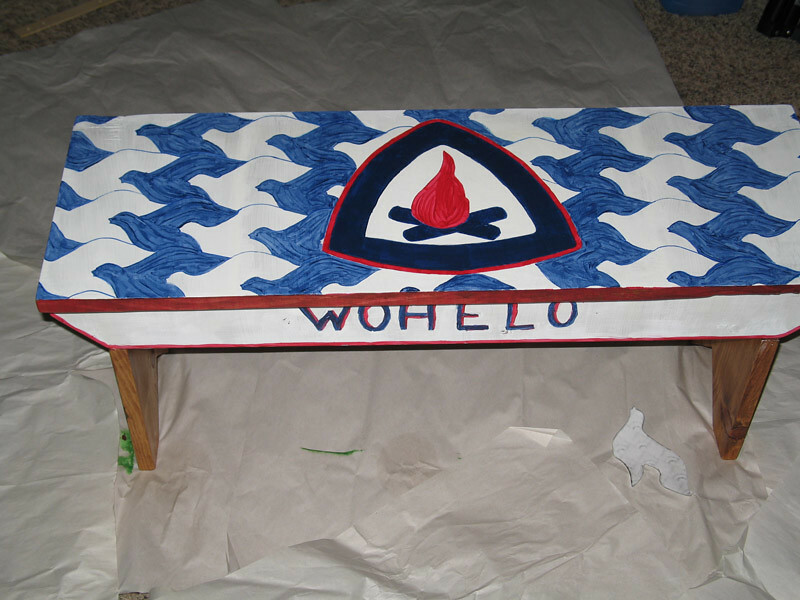 I completed my bench for the Benches and S’mores fundraiser/birthday event (100 Years of Camp Fire). My bench did not sell at the auction. But it was because they decided to keep it on for the big Centennial Event next weekend. There will be a nationwide council fire lighting ceremony and my bench has been saved for the event. I don’t know what will happen to it after that, but there ya go. 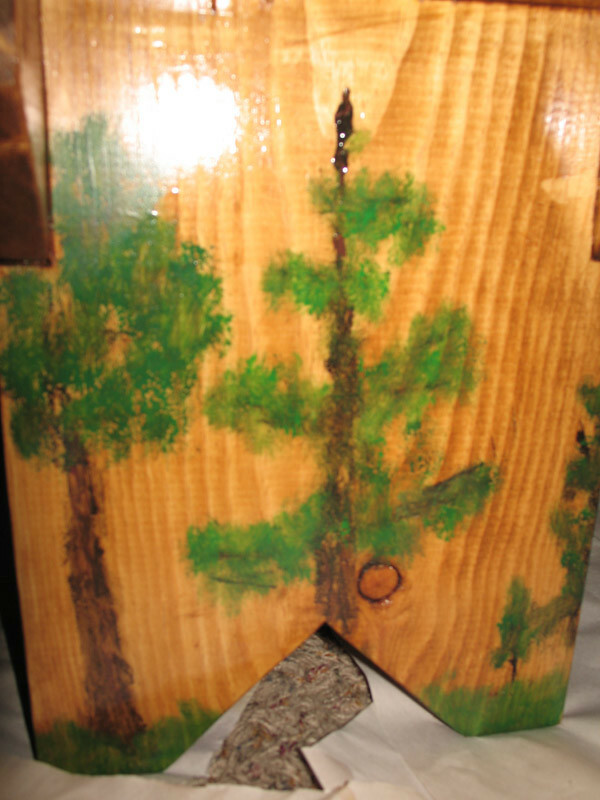 It started out as one thing and was painted over a few times. I’m very pleased with how things turned out.